Step 1. Preheat the oven to 350 degrees and line two cookie sheets with parchment paper or silpat. Step 2. In a bowl place the egg whites, sugar, vanilla, and kosher salt. With a stand mixer or hand help mixer whisk the mixture until it is foamy and light. Step 3. Add the coconut to the mixing bowl and gently stir to combine. Then scoop or spoon about a tablespoon of the cookie mixture onto the prepared cookie sheet. Bake for 25 to 30 minutes, allow them to cool completely on the cookie sheet. Step 4. 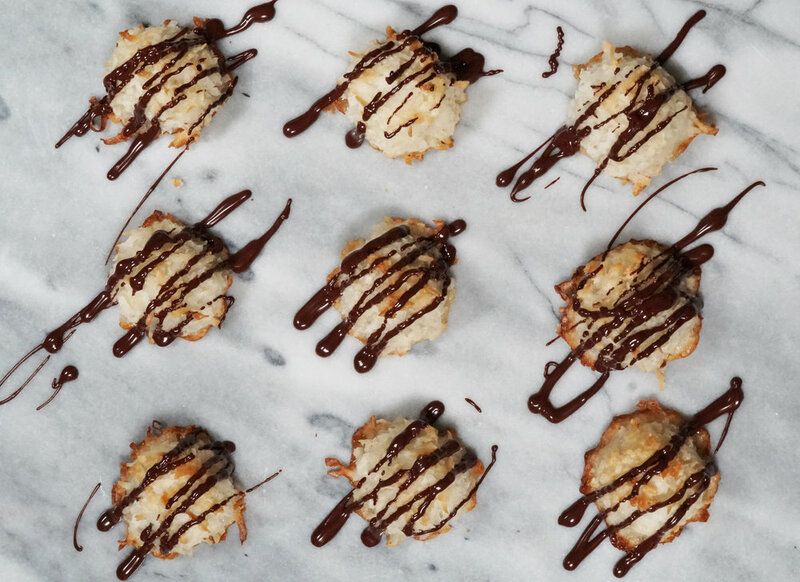 Enjoy the macaroon with a drizzle of SoChatti! Keep the cookies in an airtight container for best results.